Preserving our archaeological heritage is a matter of national importance. But in order to protect that heritage, archaeologists, local councils, the NZ Historic Place Trust and other stakeholders need to know where archaeological sites are located, their extent and condition, potential threats and ownership. To help manage their archaeological records, the New Zealand Archaeological Association (NZAA) has turned to GIS technology and Eagle Technology Group for the expertise and infrastructure to help update, validate, standardise and distribute information about New Zealand’s archaeological heritage. Preserving our archaeological heritage is a matter of national importance. But in order to protect that heritage, archaeologists, local councils, the NZ Historic Place Trust and other stakeholders need to know where archaeological sites are located, their scope and condition, potential threats and ownership. 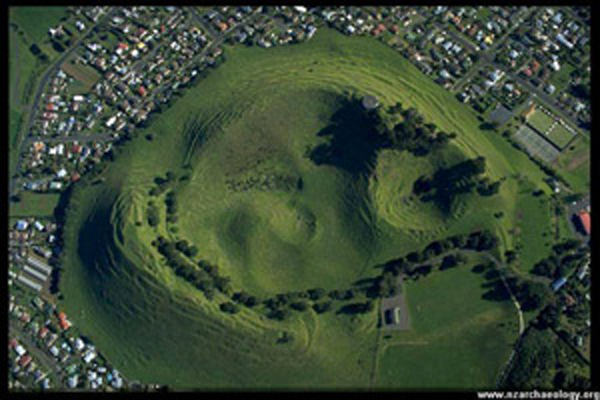 To help manage their archaeological records, the New Zealand Archaeological Association (NZAA) has turned to GIS technology and Eagle Technology Group for the expertise and infrastructure to help update, validate, standardise and distribute information about New Zealand’s archaeological heritage. Since 1957, the NZAA has been collecting and collating archaeological site data in the form of the Site Recording Scheme (SRS). This paper-based record system, which may contain plans, section drawings, photographs, artefact drawings and field notes, currently contains some 58,000 records and is still growing. Records have been contributed by many different individuals and agencies over many years and vary in quality and level of detail offered. Since the advent of the Resource Management Act 1991 and the revised Historic Places Act 1993, there has been a greater use of the SRS in planning and legal issues for site identification, protection and management. Once the data has been uploaded, it is validated to ensure accuracy and completeness. The revised data is then incorporated into the main SRS spatial database. ...the ability for councils to pull up the data when required can speed up the process of determining if applications will affect archaeological sites. Provides easily accessible method to incorporate SRS data into planning, development and heritage preservation activities throughout New Zealand.